Google Ads is a great way to get your company exposure on the top of search engines. Over the years, Google Ads campaigns have grown from simple text advertisements, to display ads, video ads, and most recently Enhanced Campaigns. Nowadays, with an increase in portable devices used to access to the web, Google Ads is shifting it’s approach to match the needs of these new search habits. 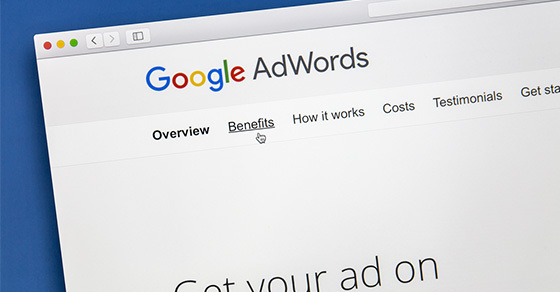 Google Ads Enhanced Campaigns is a format of Google Ads rolled out earlier this year as an alternative to the traditional campaign setup now being called “Legacy”. On July 22nd, all campaigns will be automatically and permanently moved over to Enhanced Campaigns from Legacy. It is highly recommend that you make the switch to Enhanced Campaigns on your own before then, so you can ensure each aspect is properly optimized. Before we get to that, let’s briefly discuss what enhanced campaigns are. The fundamental concept of Enhanced Campaigns is tailoring advertisements to help end users find the information they are looking for quickly and in the context of their situation. You could in some way call these campaigns smart ads is they take into account what the user is looking for, where they are, time of day, and why. For example, lets say you are looking to get Chinese delivery from the comfort of your couch on a tablet. When entering “Chinese food delivery” into a Google search query, Enhanced Campaigns will display the Google Ads campaigns of Chinese food restaurants targeting your general vicinity using your location service on your smartphone. Meaning, it will generally show the restaurants that are closest to you! It may even offer a specific ad text that speaks to those on a tablet specifically requesting delivery. Now let’s say you are walking down the street on your smartphone and enter the same “Chinese food” query. Enhanced campaigns can interpret that you are walking about and can direct you towards a walkable Chinese food option. The more you walk, the greater chance the search results will change, based on proximity and time of day. Enhanced Campaigns is really about engaging users in the context that they are in and providing the best solutions. In the past, marketers would set up campaigns for desktop, mobile and tablets separately. With Enhanced Campaigns, you can move seamlessly throughout all three devices with one centralized platform. So, now that we know what Enhanced Campaigns are, how can your business prepare itself for the shift to Enhanced Campaigns? You can upgrade your basic campaigns to Enhanced Campaigns directly from www.adwords.google.com. Keep in mind, what your business really wants to be thinking about is testing. Learn what works, and learn what doesn’t. Understand peak hours, and focus your targeting strategies around that. Are people more likely to convert the closer they are to your store? Perhaps competition is greater around your store, so increasing your budget based on how close the user is to your storefront could be a strategy to ensure your competitors aren’t stealing your lead opportunities. This is all achievable under a single campaign, a single ad even! This is what separates Enhanced Campaigns from traditional Legacy campaigns where this was not possible. Understanding the conversion habits of your previous campaigns can give you great insight into how you can structure your Enhanced Campaigns. With the mandatory switchover imminent, it is essential for businesses to realize this paradigm shift in Google Ads strategy. You will have to prepare for the future by testing and developing insight into how your users interact with your online brand.